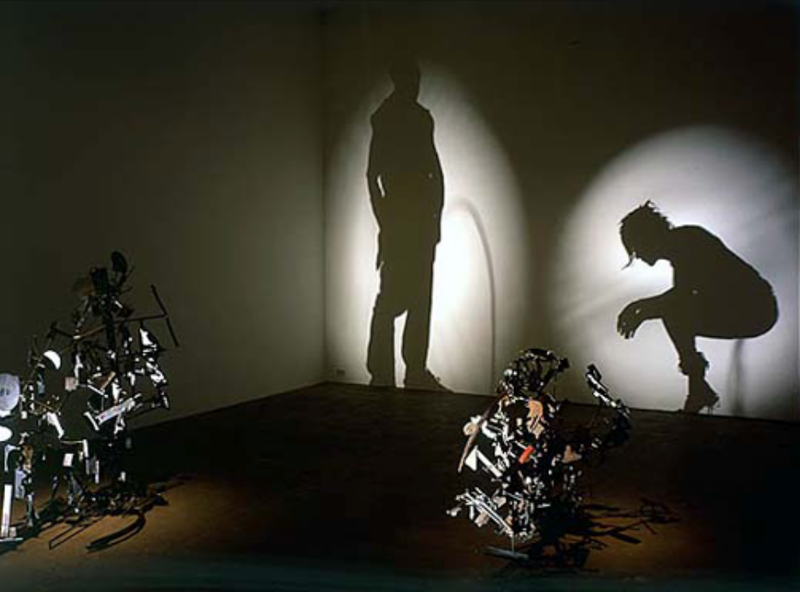 Shadow sculptures by Tim Noble and Sue Webster plays with light’s function of revealing. However, they serve it with a twist. 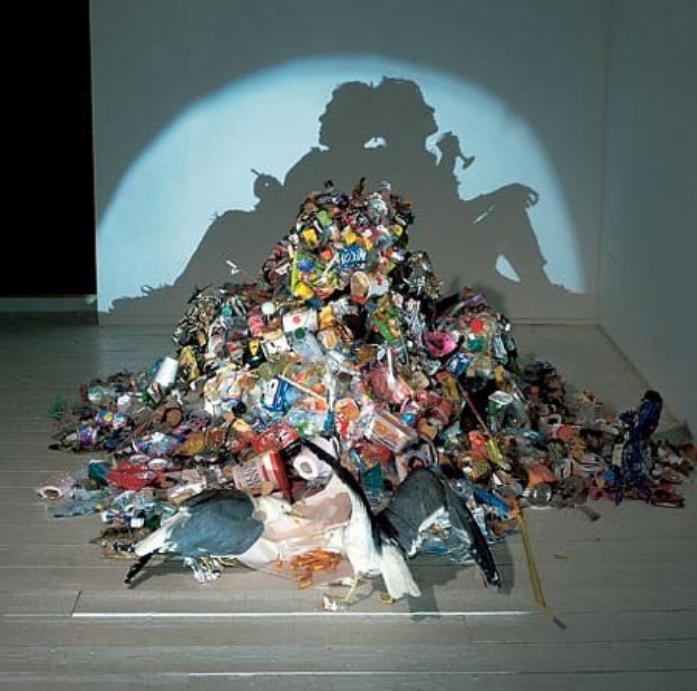 Spot light seems to shine on a seemly randomly piled heap of trash, as if saying “look at these trash!” The hidden art is actually revealed in the play of light and shadow. Is what we see really what we think? 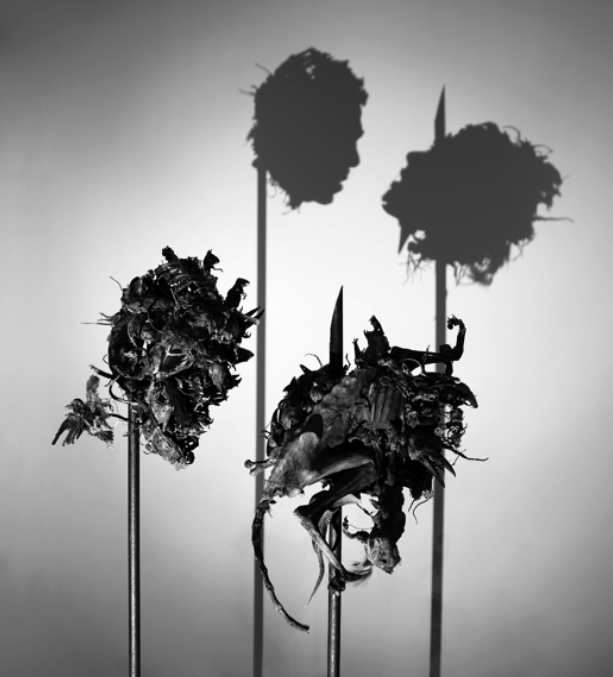 Tim Noble and Sue Webster began collaborating during their studies at Nottingham Polytechnic and studied together at the Royal College of Art. Appropriating the guerrilla tactics adopted by media-hungry celebrities’ attempting to gain fame, Noble and Webster’s unorthodox creations comment on a consumerist society gripped by narcissism. The artist duo is renowned for their series of drawings and their neon and light sculptures which embody the simultaneously glamorous and seedy aspects of contemporary culture. 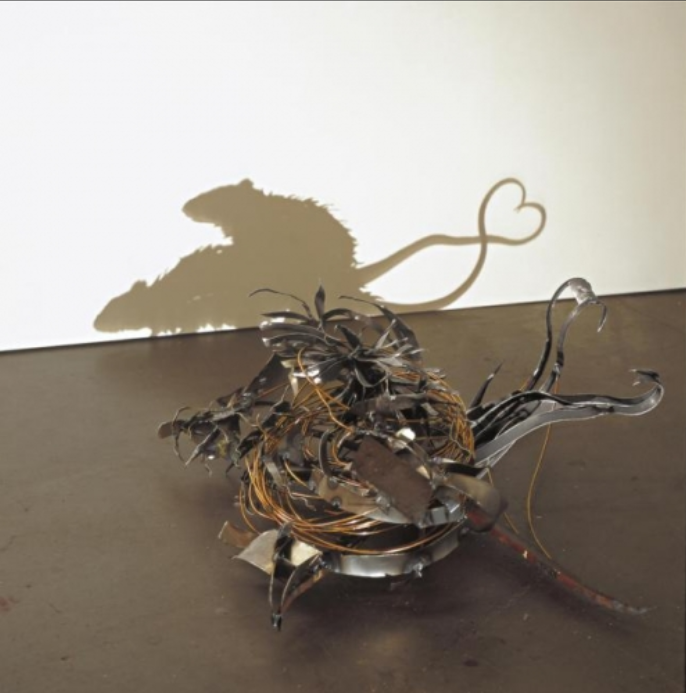 Noble and Webster’s work is held in the Solomon R. Guggenheim Museum, New York, the Museum of Modern Art, New York and the Saatchi Collection, London. Since LED becomes more available and applicable, it is appearing in many different context. 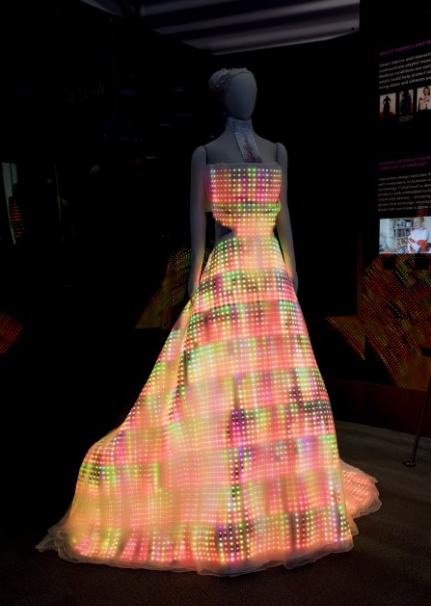 Here is a dress made from thousands of tiny full-colour LEDs. This article is contributed by Natalia via Mail Online. Light_Darkness are inseparable. Each exist in the absence of the other. 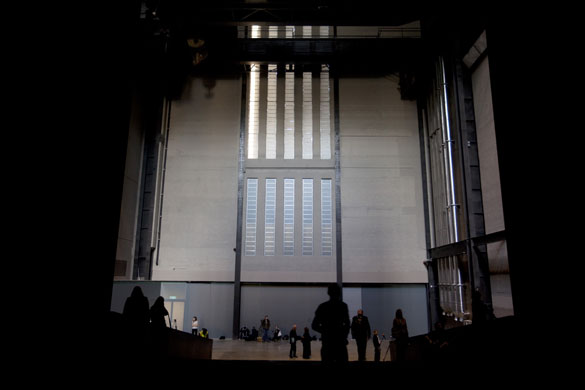 This year’s new Turbine Hall installation at Tate Modern in London, How It Is, is by Polish artist, Miroslaw Balka. He offers visitors an experience of complete darkness. As I try to put together this post, I am having great difficulty in gathering visuals to present you the darkness experience Balka offered. All photos I gathered below only skirting around the outside/ periphery of the actual piece, the Darkness Experience. 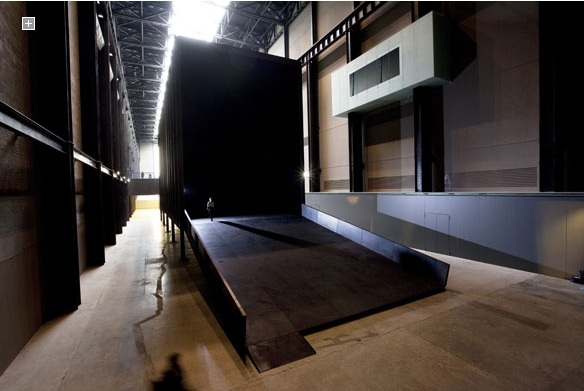 Looking at the steel box from outside, seeing its construction detail, the photo taken from inside the Darkness showing the light outside, all attempt to portrait darkness with its opposite, light. How can you show darkness in 2D medium?? Without light, the screen you are looking at now couldn’t show you anything. Without Light, our daily life would be all together a different story. Another project is contributed by Emu of Mesa. As I said to my friend, Dr. Fred, I am usually disappointed by commercial colour lighting, but he showed me it can be nice!! Dr. Fred presents us his latest finding in SoHo, London, SNOG frozen Yogurt store by Cinimod Studio. Many thanks to Dr. Fred‘s contribution. 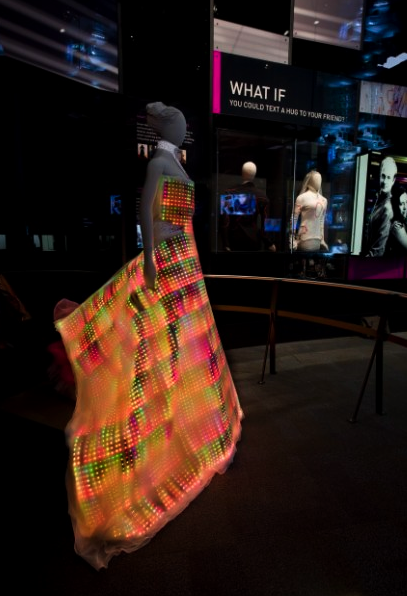 This blog is about LiGHT matters, including input from art, design and technology. To compile a rich content on light matters, contribution is most welcomed. Thank you for your visit. New design is published every Monday. Currently running a 1 year weekly "Bulb Dress" project. All designs copyright © Sam Liu; all rights reserved. Any reproduction, without permission, is prohibited.